The Ministry of Infrastructure and Energy has concluded the negotiation and signed the contract with the winning company of the competition for the concessionary construction, operation and transfer of the Kalivaç Hydropower Plant. The announcement of the winning company in this competition was carried out at the end of October 2017 and during these months the terms of the contract and its signature have been negotiated. The winning consortium “Provisional Association of Ayen Enerji and Fusha Ltd” is expected to carry out an investment in the total amount of Euro 125,287,800. The installed power determined according to the flow is 111,000 kW. Thus, the annual electricity output is over 366 million kWh, while the time of implementation of the works for the work is 30 months. The conclusion of the procedure paves the way to the construction of one of the most important hydropower works in the country, which has been suspended for many years. 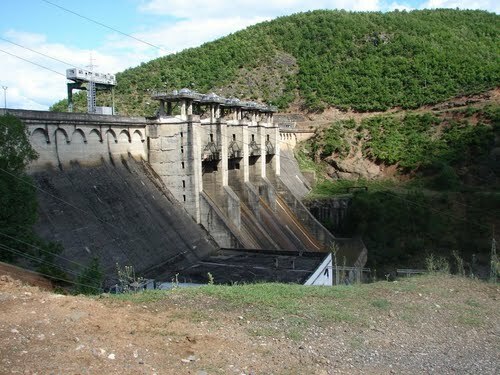 The project for the construction of this HPP has generated much controversy along the years by environmental organizations due to the high natural heritage ​​of the River Vjosa. River Vjosa is estimated as one of the last remaining wild rivers in Europe, flowing naturally and uninhibited at most of its 270 km long.